1.00 2013-10-16 GTheGuardian Initial release. 1.05 2014-04-21 dissident93 Masahiko Hataya is listed as the sound producer, with Masaki Kase being listed as the sole music composer. 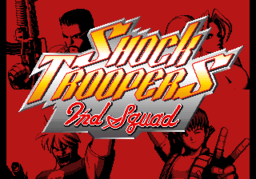 "Shock Troopers 2nd Squad / Shock Troopers"